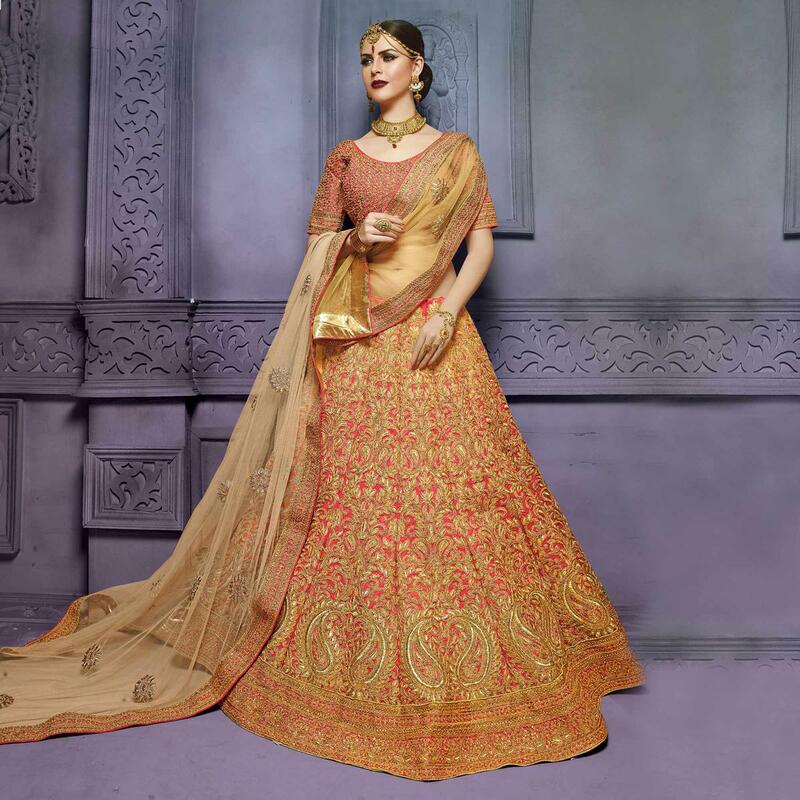 Make a glam quotient in this stunning and eye catchy pink bridal lehenga choli. The creatively designed heavy embroiders completed with zari work is the main highlight of this graceful lehenga choli. Wear it in weddings to look traditionally sound & beautiful. Pair it with traditional stylish accessories to complete the look. As shown it is available with art silk choli & net dupatta.